Video has a huge opportunity to be a fantastic brand awareness and sales tool for your business, which is why knowing which video trends are right for your business is key. After all, marketers that use video have reported they get 66% more qualified leads per year, and who doesn’t want more leads? To get you and your company ahead of the game, we’ve compiled 8 video trends that we believe are here to stay, and that you can incorporate into your video marketing strategy. Live streaming is growing increasingly popular with Internet users, with 82% of viewers prefering live video to social media posts. Every social media platform is starting to incorporate live streaming in some way, and the industry is expected to be worth $70.5 billion by 2021. It truly is showing no signs of slowing down, and is an incredible way to engage with active user groups. Not to mention, using live streaming can be great for your business because it allows users to engage with your brand and allows you to actively learn more about your audience. Live streaming can help your brand grow, and as a result, reach an even bigger audience. People naturally hold their phones vertically, and as a result vertical video has been on the rise. It’s a movement that has lead to social media platforms like Twitter, Facebook, Instagram, and YouTube publishing vertical videos with no black borders, meaning users can continue to keep their phones in their natural position, whilst watching video. By using a vertical video, you’re not only more likely to gain the attention of users who are increasingly consuming video, but you’ll also be able to take up the majority of the screen. In a time where audiences are known for their short attention spans, this trend speaks for itself. Unlike some of the other video trends we’ve spoken about, this one just requires putting out shorter versions of your long form video content, or creating short videos like the Aston University social video created by our creative video agency. We would recommend sticking to a video length of 30-seconds to 1 minute in length, however, if you’re determined to have users watch the full length of your video, consider a cut down version on social that redirects to your website to watch the full video, or create several short cuts that will show off all your video over time. We understand that closed captions may not seem like it’s on the right list, as this blog is about video trends, but it’s something that has been increasing over time on most video content. Captions help with accessibility, in fact, Facebook found that 41% of videos were basically meaningless without sound. Captions can allow search engines to get a much deeper understanding of your video content, therefore helping SEO. Captions increase engagement, and view times, which is important to your videos SEO on platforms like YouTube. Using closed captions also gives your audience the chance to turn on/off captions, which is not an option if you use open captions. If you’re unsure where to start with captions, our video content agency can help you get on the right track. Is 360 video worth it? For many, the format can be seen as a very gimmicky thing to incorporate into your strategy, but can it actually drive more engagement? Well to answer your question, Google recently conducted a test to see how a 360 video ad stood up against standard video ad, and the results were very interesting. The 360 video ad had a lower retention rate than the standard ad. But, the 360 ad also had a higher click-through rate, meaning that viewers were more interested in checking out the full-length version of the video, it also gained more views, shares, and subscribes. So is it worth investigating for your brand? We’ll leave that up to you. Training videos are on the up, which is no surprise when training is reportedly more effective when video is involved. Statistics say that every individual is likely to remember only 10% of textual content, 65% of visual content, but 95% of audio-visual content. Hence, organisations should incorporate this mode of learning to train their employees effectively as it enhances self-learning and engages learners’ attention throughout the course. If you’re considering educational or training videos, our video agency team at Tinker Taylor can help you take advantage of this trend. Vlogging is an ongoing video trend that, which, whilst sounds like it may be more for millennials, is becoming a major trend in content marketing. It allows you to connect with viewers in a more authentic manner, build a community of like-minded people, and vary out your content. Not to mention by creating a vlog you can write up the content as a blog, and extract the audio and have a podcast. One video can create three types of content, depending on what it’s about, of course. While marketers are taking the approach of using vertical videos, square videos can be a good solution to avoid rotating your phone horizontally. As these videos have a different aspect ratio they are able to take up 78% more screen space than 16:9/landscape, which means those watching will be able to view more. Want to take advantage of these video trends? 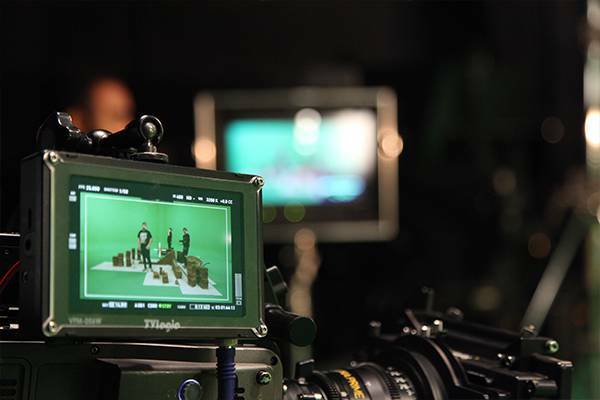 Why don’t you chat to an award winning video production agency to see how we can help?